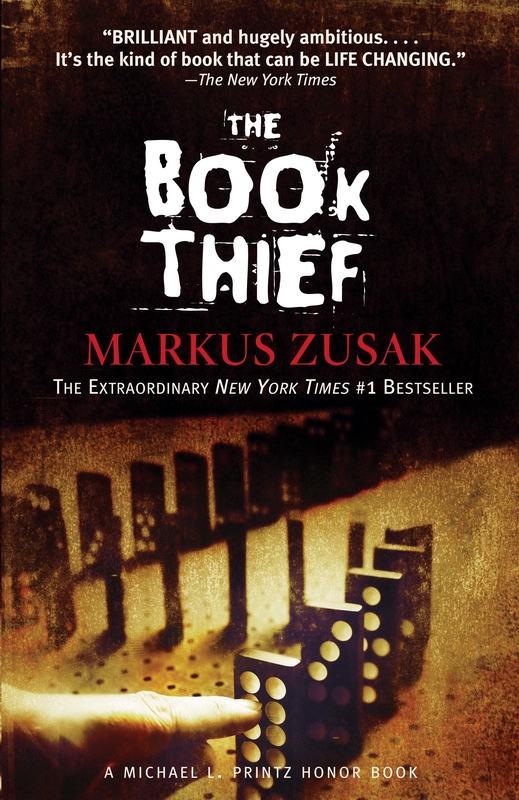 Markus Zusak’s The Book Thief is a book about books. Actually, it’s a great book about books. Originally published in 2005, The Book Thief has been on The New York Times bestseller list for years and has recently been released as a movie. Although Zusak imagined this masterpiece as young adult literature and it is taught in many high schools, the book is still very much worth the read for those of us who came of age well before 2005. Set in Nazi Germany, the book tells the story of Liesel, the book thief herself. Early in the story and upon the death of Liesel’s younger brother, she found and stole a copy of The Grave Digger’s Handbook. While Liesel did not know how to read the book, that didn’t matter. Its power had little to do with the content of its pages. It was powerful because it represented the last time she saw her brother and her mother. The Grave Digger’s Handbook was the first of fourteen books that entered Liesel’s life, ten of which played a significant role and six of which were stolen. Liesel stole books and apples. And it never really bothered me that she stole; in fact, I found myself more worried about what might be taken from her, rather than what she might take. Plus, it was clear that she stole books because she genuinely valued them. As each of Liesel’s family members—her mother, brother, and father—had been stolen from her, it felt only fitting that she would be someone who would take. It was also not lost on me that difficult days in Nazi Germany could make even the least likely thief a thief. Thirteen-year-old Liesel told us that her heart was tired: “a thirteen-year-old heart shouldn’t feel like this.” True. That books warmed her heart a bit warmed mine as well. Feisty Leisel was not the only character whose love of books struck me. Early in the book we also met Liesel’s loving foster father who taught and inspired her to read. Max Vandenburg, a man whose very life was saved by a book (with the help of Liesel’s foster family), read with Liesel and wrote books for her. Ilsa Hermann, the mayor’s wife, gave Liesel access to books in her library—and with that a sense of power. Underlying Leisel’s relationship with each of those people were books. Books helped her relate and connect to others. More than that, books also kept Liesel safe; she hid in the basement reading as bombs were potentially headed toward her home. Still, the real power of books might have been that they helped keep Liesel grounded and comforted during her very challenging childhood set in a time and place of war. Also striking is that there are a handful of references in The Book Thief about Hitler’s own book, Mein Kampf. Certainly, the Nazis used words—and more specifically propaganda—to stay in power, spread their message, and fulfill their goal of murder. That Leisel used words to stay safe and to give her a different kind of power than the Nazis had was quite lovely. As I saw how life-changing books were for each of the characters, I thought about the books that have changed my own life. Books that have transported me out of my ordinary. Books that have helped me hold a mirror to my own identity. Books that have inspired me with the beauty of their words. Books that have taught me about different times in history. But it wasn’t just the love of books to which I could relate. You really get to understand a person during a time of crisis, and the nuanced existence of each character was itself like a book, full of insights about the possibilities and complexities of being human. Among those characters was Death, the book’s narrator. Death is direct: “HERE IS A SMALL FACT: You are going to die.” Death is funny: “I do not carry a sickle or scythe. I only wear a hooded black robe when it’s cold. And I don’t have those skull-like facial features you seem to enjoy pinning on me from a distance.” Death is profound: “You want to know what I truly look like? I’ll help you out. Find yourself a mirror while I continue.” And Death elicits sympathy: “To me, war is like the new boss who expects the impossible. He stands over your shoulder repeating one thing, incessantly: ‘Get it done, get it done.’ So you work harder. You get the job done. The boss, however, does not thank you. He asks for more.” These attributes that struck me about Death—ability to communicate directly and to elicit sympathy, humor, profundity—are among the attributes that books have as well. Having Death narrate certainly transcends the ordinary, just as many books transport us into another mindset. Most of us won’t have our lives saved by a book, and most of us won’t have a book as our one and only reminder of a loved one. Yet, if we’re lucky, each of us will likely have meaningful relationships with books. And perhaps through books, some of our interpersonal relationships will be strengthened. With books, there is a certain quality of transcendence. While books may simply be ink on pages (or dots on an e-reader! ), they are not simply objects. They can transport us to another time and place. They can make us feel powerful or weak. They can make us feel alone or not alone. For Leisel, books connected her to her family of origin and to her new family. As I read this book, I not only connected to the characters but to their struggles as well. Just as books connected Leisel to her family, because the story was set during the Holocaust, it connected me even more to my ancestors and to my Jewish heritage. A good book can help us connect to our roots and better understand who we are. The Book Thief certainly played that role for me. Laura Baum is a co-founder and rabbi of OurJewishCommunity.org and a rabbi at Congregation Beth Adam in Loveland, Ohio. An expert on social media and the changing needs of the Jewish community, she has created an award-winning model for engaging those seeking new ways to connect to Judaism. Her work has been featured in dozens of major news stories, including in The Wall Street Journal and The New York Times. She blogs for Huffington Post and tweets from @rabbi.